Our wooden log storage buildings will fit nicely down the side of your house, against a wall, fence, or maybe an existing Beast shed! 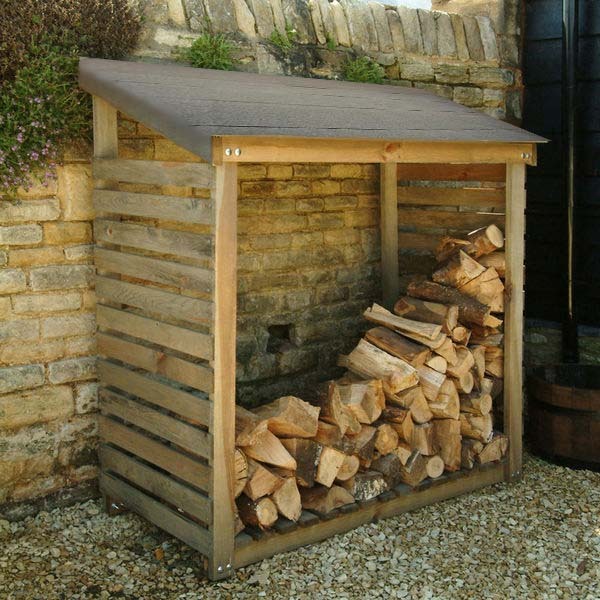 Unlike other log stores ours have a felt roof for long lasting protection from the rain, keeping your wood dry - ready to be used on your fire! Update July 2017: Please note, we no longer offer wooden log stores. This page is example information only.